Our facility is over 10,000 sq/ft and offers spacious shooting lanes, an indoor 3D range, a traditional archery pro-shop, and much more! The standard range consists of 17 lanes at a maximum shooting distance of 20 yards. The lanes are 3 feet wide, 1 foot wider than most ranges. Our targets have the option tobe moved closer for individuals who want to shorten the shooting distance to fit their needs and not affect the rest of the shooters. 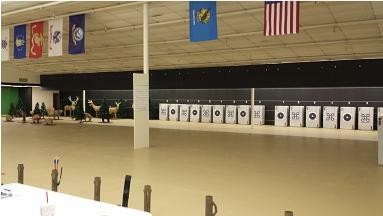 The unique indoor 3D range at Archery Traditions includes 24 targets, ranging in size from bobcat to mule deer. The ability of the 3D targets to move easily makes it possible for us to rearrange them regularly for a fun and exciting shooting experience every time you visit. Our range can easily be converted to a total of 28 standard lanes by removing the 3D range to facilitate tournaments or group shooting events. Rentals are available for shooters of all ages. We carry draw weights suitable for children and adults. be moved closer for individuals who want to shorten the shooting distance to fit their needs and not affect the rest of the shooters.